Got a dirt nap tonight! Hunt In: Little slice of heaven in Limestone Co. This is my first lease of my own in 35 years. No family, just me and 5 guys I just met. I am having a blast and see my $ being put to good use. My kids and Wife have been to the lease with me and I look forward to raising them to be responsible men and hunters. Here is my 8 pointer from a few weeks after opening weekend. I have seen much bigger deer through the course of the season but I'm glad I harvested this mature buck. 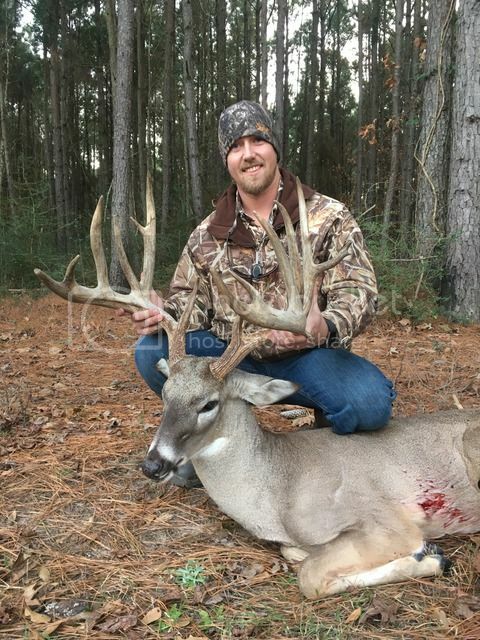 Congrats sir...that's a heck of a buck. Did you have any history on him? I'm getting bad at aging these deer b/c other than that headgear, he just doesn't seem that old to me in the video. Maybe he's just rut down hard...but his head throws me off. Some big bucks hitting the ground lately. Congrats on that toad!